I’m a longtime Bowers & Wilkins fan. The headphones are so good, I’ve always thought, they don’t even need noise-cancelling. Well, Bowers & Wilkins didn’t listen to my thoughts and recently released a set of noise-cancelling headphones. I was wrong. 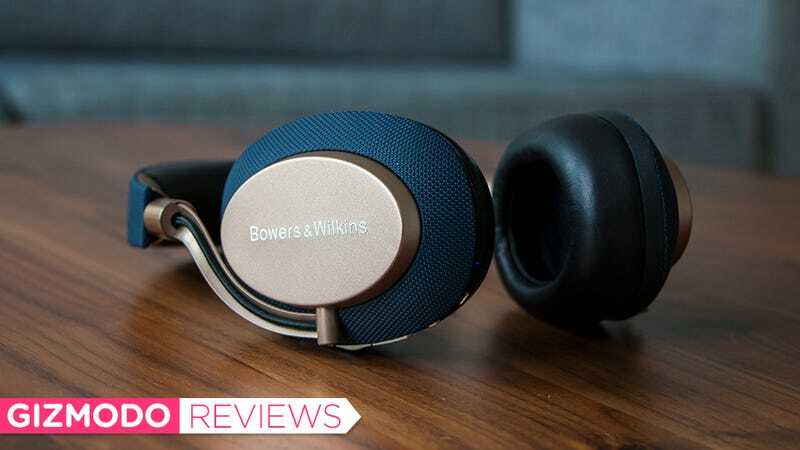 The Bowers & Wilkins PX are are the best wireless headphones the company’s ever made. That’s just my opinion. However, I have tested every other set of wireless Bowers & Wilkins headphones: the P5s and P7s. I’ve enjoyed them, too. The sound quality is practically peerless in the wireless arena, and I simply can’t get enough of the understated style. 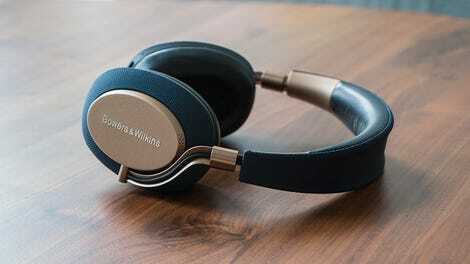 But the new $400 Bowers & Wilkins PX headphones, which replace the P7 in the lineup, break new ground. Not only are they more technologically advanced than the other Bowers & Wilkins headsets. These noise-cancelling cans take the headphones in a new design direction, one that trades leather and chrome for fabric and anodized aluminum. It somehow feels futuristic in the same way that the P5 or P7 headphones feel classic. The feature set is similarly sleek. Whereas the P5 and P7 headsets play music and contain a microphone, the PX take a couple steps in a new direction. Yes, there is now a noise-cancelling feature that can be toggled on or off with a little switch on the right ear cup. There’s also a new feature that uses an accelerometer to recognize when you put on the headphones or lift an ear cup. This so-called “wear sensor” will play or pause the audio based on whether the headphones think you’re wearing them or taking a break, and by proxy, this saves battery life. Bowers & Wilkins promises 22 hours of battery life on the headphones. The wear sensor annoyed me. If you’re using the headphones for anything other than music playback, the little chip defaults to toggling your Spotify or iTunes track to play or pause. It won’t work with, say, a YouTube video. This limited functionality can be annoying if you’re multitasking, too. For instance, if you’re watching a YouTube video and adjust the headphones on your head, there’s a good chance that Spotify will start to play over the YouTube audio. Nuts! Inevitably, however, you can easily avoid the trouble, because you can control the wear sensor as well as adjust the noise cancellation through a mobile app. And I’m almost alarmed to admit that the wear sensor was my only complaint with the new Bowers & Wilkins headphones. My favorite thing about the PX headset is the sound quality. It’s delightfully well balanced and best suited to natural or orchestral music. Through the Bowers & Wilkins PX headphones, I heard xylophone notes on “Miss Bottom of the Hill” by Iron and Wine I hadn’t noticed before. I felt like I was inside the studio for “Whiskey Lullaby” by Brad Paisley and Alison Krauss, with the acoustic guitar weaving beautifully through the harmony of a very sad song. “Kim and Jessie” by M83 sounded big, but personal, though that effect isn’t worth much on the artist’s more epic and atmospheric tracks—“Birds,” for instance. All that said, don’t bother if you’re in the market for headphones that rattle your eyeballs with ruthless bass. These do not do that. What’s really remarkable about the Bowers & Wilkins PX sound experience is the fact that you don’t even notice the noise cancelling. That sounds a little bit silly, but hear me out. Audiophiles often complain that the technology hampers sound quality since its very function injects extra noise into the output in order to cancel out the background noise. (This new noise is the mirror image of the background noise which is supposed to cancel it out—hence the term “noise-cancelling.”) You can hear the negative space even in high-end noise cancelling headphones like the Sony 1000-series wireless headphones or the latest Bose QuietComfort headset. But I can’t, for the life of me, pick it up with the Bowers & Wilkins PX headphones. Yes, the new Bowers & Wilkins headphones do cancel noise. No, they’re not as powerful as some other noise-cancelling headphones. Still, that’s part of why I like them so much. Even with the noise cancelling at maximum power, I enjoy that delicately balanced audio fidelity I’ve come to love from any Bowers & Wilkins headphones. I’ll also notice if someone’s talking near me, and it feels like the fine line between noise cancelling that preserves sound quality and noise cancelling that silences the outside world has been drawn. I’m happy with where that line falls when using the Bowers & Wilkins PX. I’m sure these headphones aren’t for everybody. Some people who want noise-cancelling headphones want that nothing-else-exists sort of silence you’d get from a set of Sony or Bose headphones. Others want the best sound possible with the added benefit of less background noise which is what the Bowers & Wilkins PX get you. And did I mention that they cost $400? That’s not nothing when it comes to spending money on headphones. Sony’s extremely excellent 1000-series wireless noise-cancelling headphones cost $350, and you can get great non-noise cancelling from JBL for $250. However, that $400 price tag still puts the Bowers & Wilkins headphones below premium competitors like Sennheiser and Master & Dynamic who sell their top-of-the-line noise-cancelling headphones for $500 and $550, respectively. So it’s a steep price, but you’re actually getting a ton of quality for the money. If you love great sound, you like noise cancelling, and you can afford it, give the Bowers & Wilkins PX a go. If you say no to any of those three propositions, the Sony 1000-series are still a great pick.